I have a new horse! I'm so excited. I feel like I'm floating on cloud 9! And, he's just perfect…..for me. Every last detail is perfect and he's exactly what this little girl has always dreamed of - everything was checked off our wish list. I think, perhaps, he fits me like a glove. For the past year, we've been wanting to add another young horse to our string. Bourbon had his last junior year in 2013 - so I wanted to add a 2 year old to continue to compete in the junior classes…as B moved on to the aged divisions, along with Diva. But, it seems each really nice colt gets bought before you can decide, or there's something that just doesn't fit. Maybe its age, maybe its how they move, a detail in their confirmation, oh…the list can go on. But then along comes one - that just fits. Feels right. And the pieces fall into place. That was HALO. It all started when I called to check in with Hannah on some young horses she was evaluating. And you get to talking, and all of a sudden one stands out. The more I heard, the more I wanted to hear. And the more I wanted to see! So….instead of jumping on a plane at that very moment - I had to wait. Hannah was off to sail the Virgin Islands for a few weeks (and get engaged!). And so I waited. I knew he was there. I was scared he wouldn't be there much longer. And I waited. And I waited. OMG - I waited. :) And then she returned….and I waited some more. To let him get back to a few days under saddle, and to get a video to see him move before I traveled to see him in person. And see we did. Once a video was posted…we viewed it over and over. Scott and I. And our excitement mounted. He was perfect….for us. He peered out of his stall. The very next day, I was booking tickets and packing my bag. And negotiating the deal. And the colt was going through the vet check. It was all but done - I would make my final decision once I saw him live, placed my hands on him, rode him - and knew without a doubt - that he was perfect….for me. 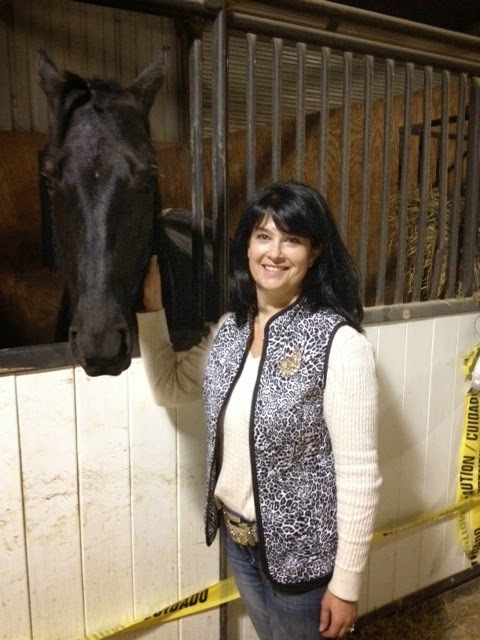 I arrived late Friday night….drove right to Main Gait Farms - and I placed my hands on him. 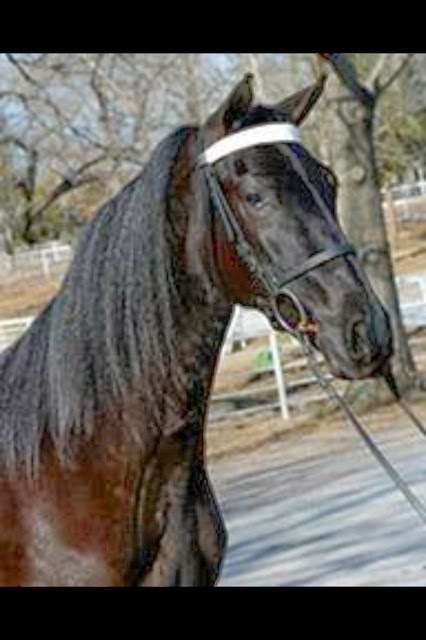 The stable was dark when I arrived - Hannah was over at the colt showing - so we agreed I'd slip in anyways to see him. I wound't sleep if I couldn't see him once on the ground in Tennessee. I pulled up, and it was dusk. I walked in through the front doors, and through the wash area, and into the long dark aisle. The lights were off, the aisle dark, the horses munching on hay - every long face looked up as I made my way down the aisle. I walked and looked into each stall….until I came and stopped at stall 16. Sweet 16. 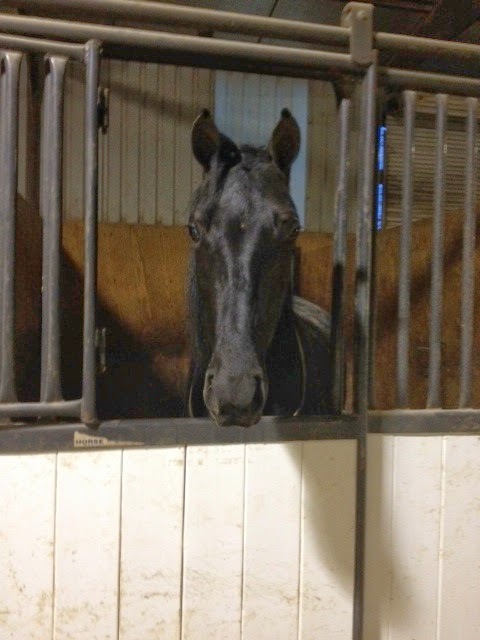 My heart was beating….I could hardly see into the stall, let alone see a black horse in a dark stall. But then he pulled his head up, looked at me ears forward…stepped up to the open window in his door - and peered out. My heart jumped a beat….and I grinned ear to ear. Hello guy! I coo'd. And I stepped forward and placed my hand on his soft nose for the first time. There, just the two of us - in the dark. And, I could see, he was perfect…for me. I spent some time with him in his stall. 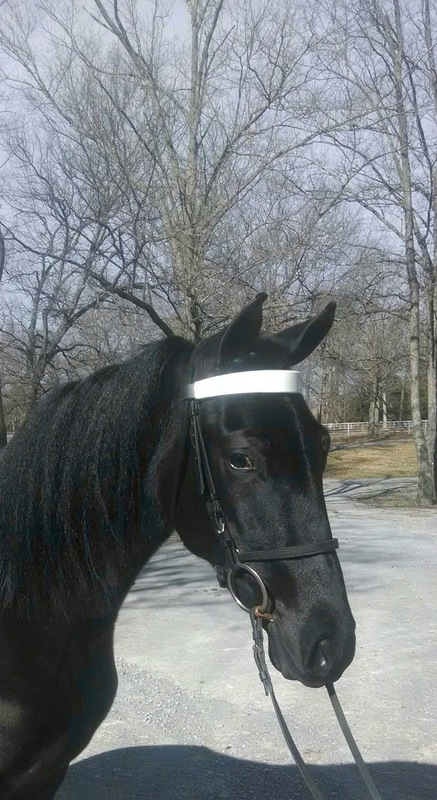 I could see he was long legged (check), black (check), pretty (check), oh la la the mane (check), calm, silly and mischievous personality (check), and (check), (check), (check)…..my list of wants that outlined the perfect horse for me were all getting checked off. I couldn't wait to see him move and ride him tomorrow. But…I'd have to wait. I'd have to wait all day. I wouldn't ride until late afternoon - as Hannah was taking colts over to the colt sale on Saturday. I said my good byes - and just as I was about to leave, the barn manager, Roger, came walking in - helped me find the lights - so I could REALLY see this colt - and he snapped the very first picture, of the very first meeting, of me and my "soon to be" new colt. I knew it would be so - in every fiber of my being. 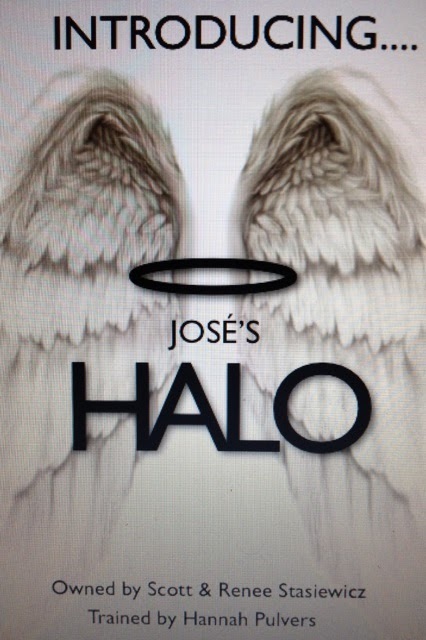 Beautiful boy - Jose's HALO. When I went back to see my colt in the morning, it was just us, again. But a good chance to get to see him in the light of day and to experience his personality. Then off to the colt sale. I met up with Carlan and her girls - and got to personally deliver a brand new ruby red day-coat for Emily! (Kricket - it fit her PERFECTLY!) We hung out and socialized…and then all four of us went over to see "my" colt. Carlan and the girls agreed - he was something. We shopped, we lunched….and we visited Katie's new pony and watched her ride! She's getting so big - and brave to ride. Then we said our good-byes. I love seeing them…its so much fun. But…it was close to 3pm - and F.I.N.A.L.L.Y. I would get to ride my colt. Hannah and Bub were already in the arena when I arrived. Hannah was working with another client - and Bub had my boy in the round pen. As I came up and rested my arms on the rails to watch - my colt ran around and stopped right by me. Bub just shook his head and laughed. Like the colt had chosen me already too. :) In no time, Hannah had mounted him and was riding. And my heart was happy. Again, each element - front lift, shake, stride - potential, potential, potential. His confirmation seemed right - he'd be a nice size. And, once I got into the saddle, I could tell he wanted to figure out what we wanted him to do. And, he was all new, young and perfectly inconsistent and imperfect. Just as a young coming 2yo should be. And, I could tell, he was perfect…for me. And, while we had worked our way through (literally) 500 names. Scott came up with HALO - and once we realized that Jose (the colt's papa's name) was also spanish for Joseph - we just knew that Jose's HALO would be his name. In memory of Joe Stasiewicz, Scott's father who passed away on new years eve. Another detail fell perfectly into place, that reminded us both, this was meant to be.